This fall zucchini soup recipe is the perfect way to enjoy those chilly evenings and it’s delicious and easy too! I’m a list girl. I feel like they help to keep me organized and hold me accountable. Generally, when people make lists, they are full of things that they’re not exactly looking forward to…like those dreaded to-do lists. Yuck. But they don’t always have to be bad! I’m sharing a fun way to put one together that you’ll actually want to cross off! 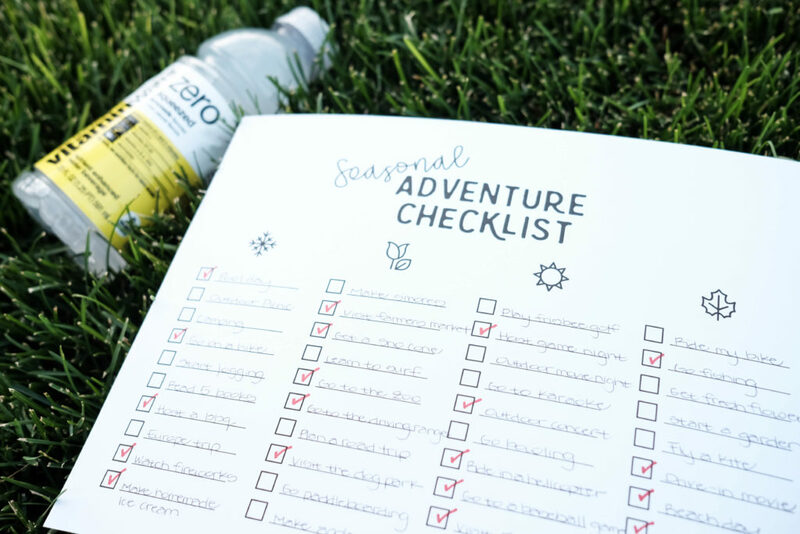 This seasonal bucket list printable will give you a fun excuse to stay busy all season long, whichever season you may be in, and plan some fun and interesting adventures along the way! Holiday baking season is upon us and with that comes a very messy kitchen! But this year, I’m more prepared than ever before! 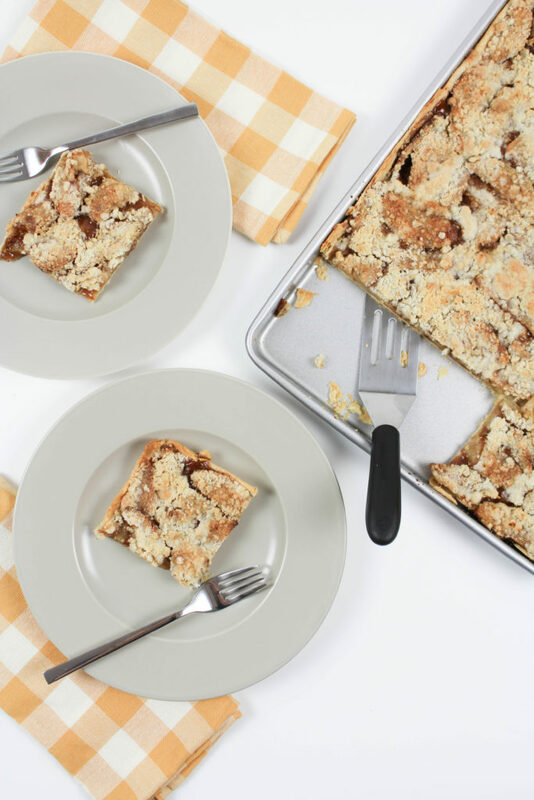 I’m sharing my trick for scrubbing kitchen messes away quickly and I’m also sharing a sticky, gooey, and delicious recipe for caramel apple slab pie that is so good you won’t even be thinking about that messy kitchen. Brought to you by Dr Pepper® and Albertsons Companies. College football season is finally here and I couldn’t be more excited! I’m a huge football fan and there’s just something about hanging out with friends and family before a game, grilling, eating, catching up, and enjoying each other’s company over some football! 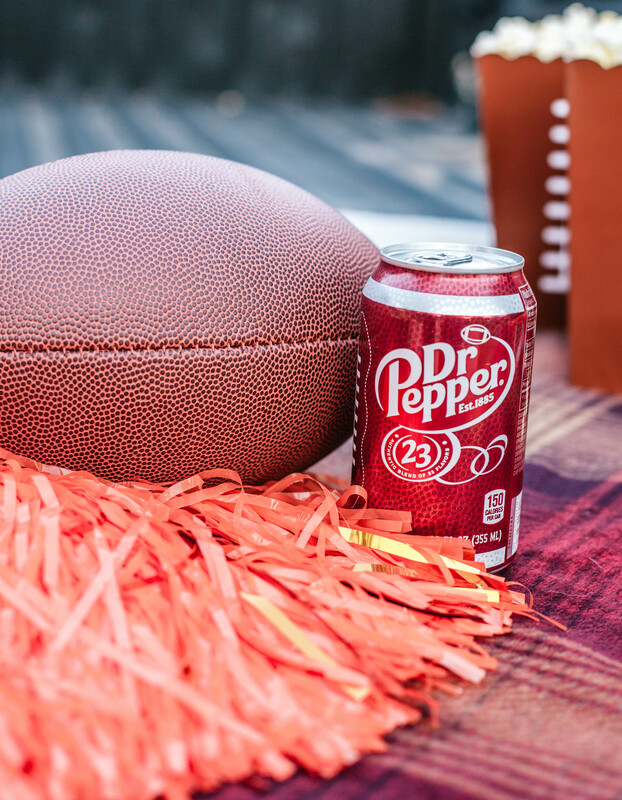 I’m planning some epic gatherings this season and I’m planning all of my tailgating with Dr Pepper®! 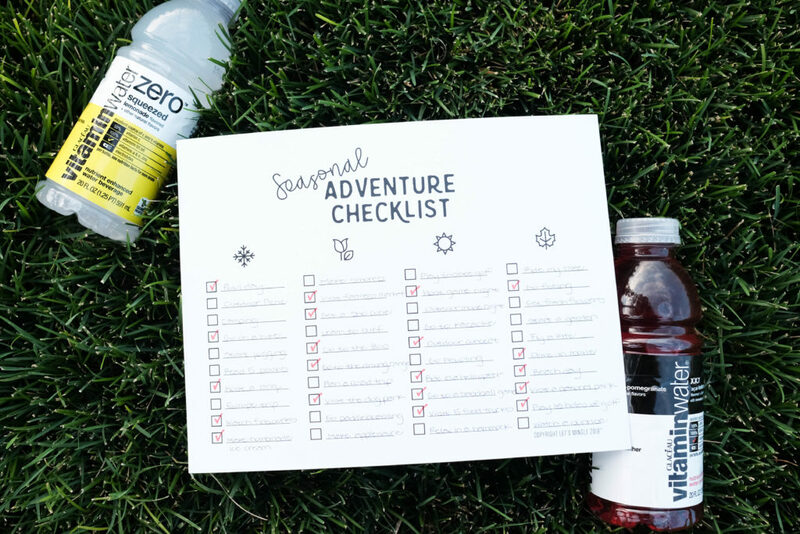 It’s one of my favorite beverages, and it’s easy for me to pack up and serve to all of those thirsty fans! As you guys probably already know, Fall is definitely my very favorite season of the year. Yeah, sure, Summer is great, but Fall has so much more to offer like pumpkins, cozy socks, hot chocolate, caramel apples, and HALLOWEEN! 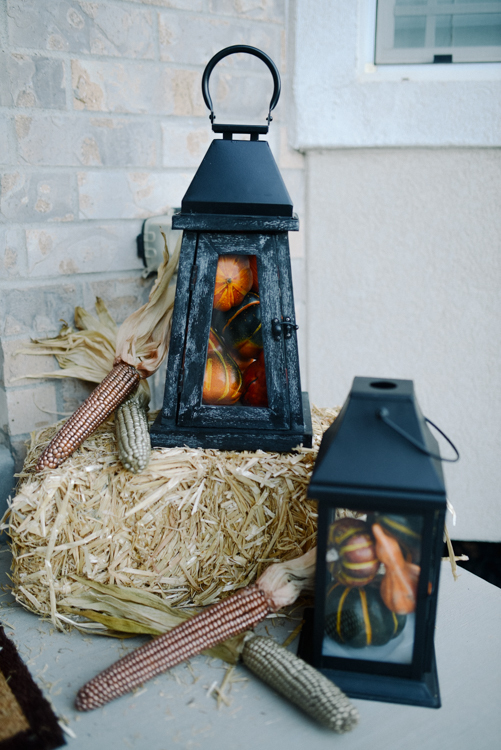 So when the Home Depot asked me to participate in their annual Harvest Style Challenge, I jumped at the chance! 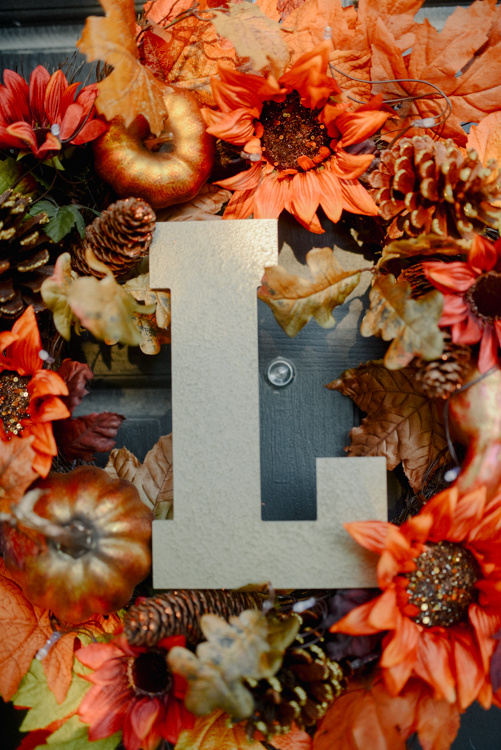 I was given the opportunity to style and decorate my front door using fun and festive items that you can find at the Home Depot. I also added a little bit of my own personalization and style to give it a fun and easy twist. Check back here next week, when I’ll be sharing the full reveal, or head over to The Home Depot blog to see my whole design tomorrow! I’ve been doing a lot of Halloween shopping lately, as I always do around this time, and I recently stumbled upon the CUTEST witches cauldron ceramic container at Michael’s Craft Store. Of course, I snatched it up and began envisioning all of the things I could do with it. At the top of my list…? 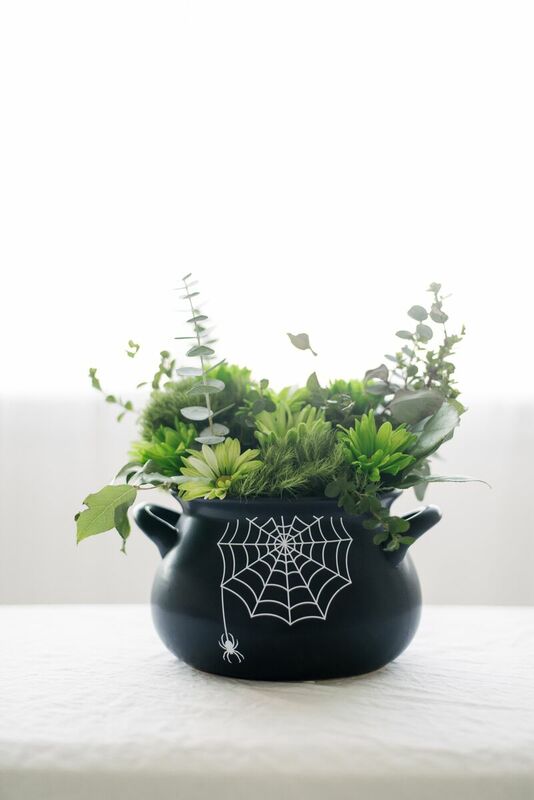 A “bubbling” witches brew Halloween floral arrangement! I know I’ve mentioned it many times already, but this week officially kicks off my favorite month of the year by far. OCTOBER! 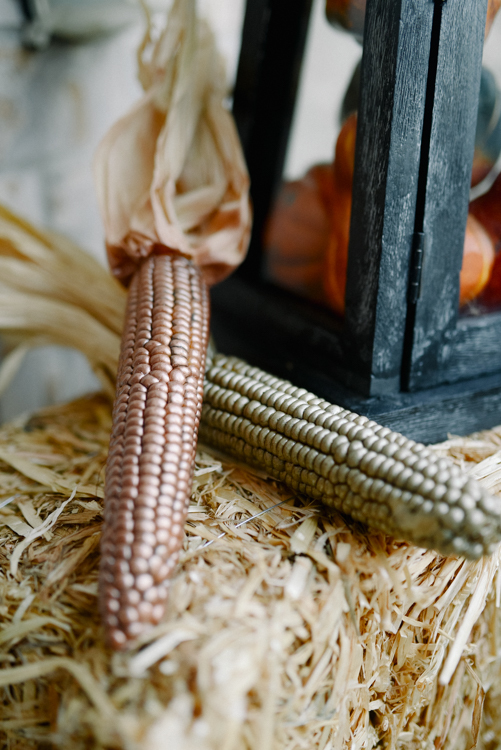 Time to usher in the ghosts, ghouls, pumpkins, candy corn, and caramel apples. Let’s take a moment to talk about caramel. First off, I realize that I might have a different view on this, but I pronounce it care-a-mel. What about you guys? I think it’s an east coast thing. But, come on, there’s an “a” in there, right?! 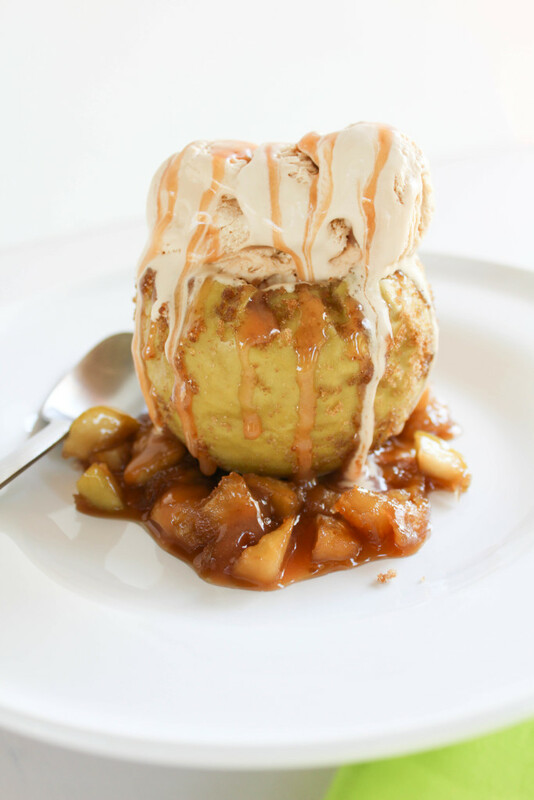 I’ve been sharing a new ice cream recipe once a month for the last little while and continue to keep this trend going until I have a full year under my belt. 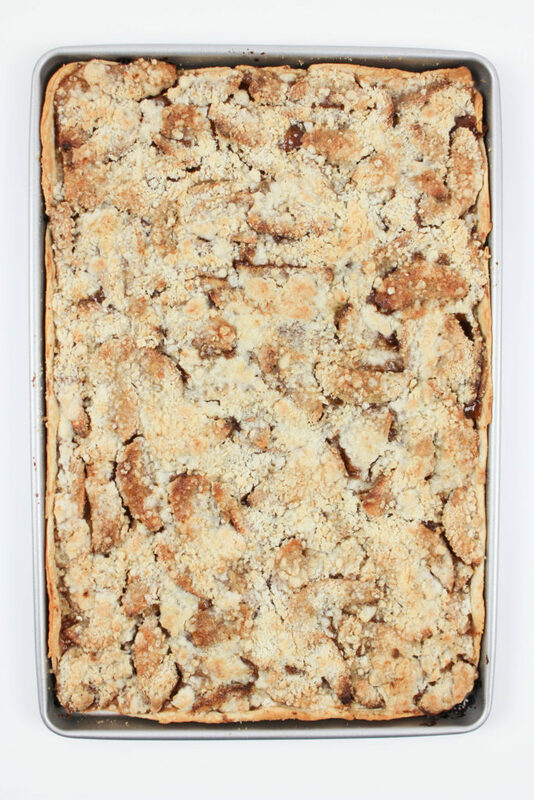 So how could I make a twist on a classic halloween dessert with ice cream? 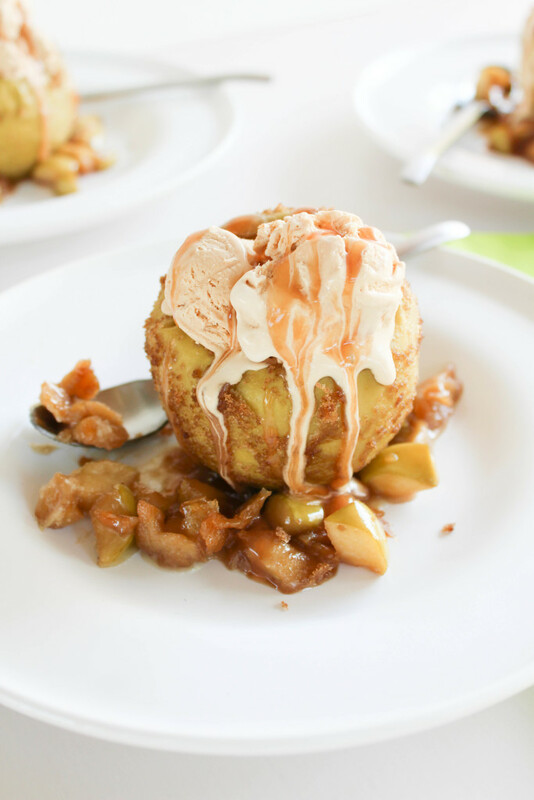 By making caramel ice cream baked apples, of course!